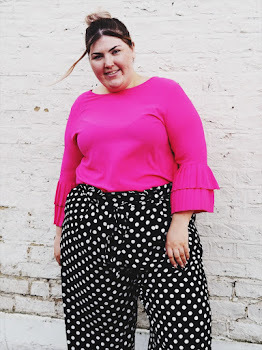 I most definitely love a bardot top and I’m also fond of shiny leggings, so I couldn’t believe my luck when I saw these two pieces from yours clothing in their range. 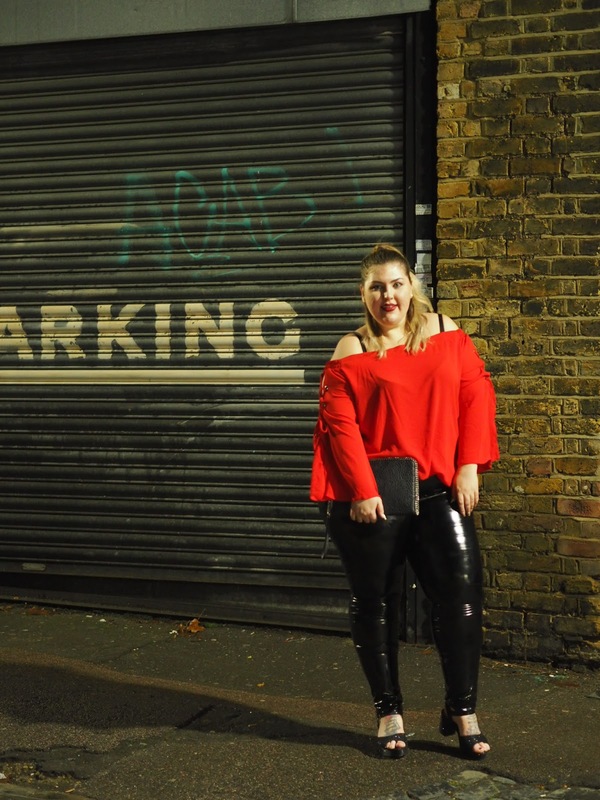 Red is always a colour I’m drawn to but stay away from....but I thought would pair perfect with this shiny black PVC for a glam /rock chic outfit. I’m no stranger to rock music, or the rocky chic edge that creeps up in the fashion trends. And I for one love how this outfit is not only glam but fits the bill perfectly for a night time out fit with a kick. The bardot lace up detailing on the top set this apart. I’ve tucked it in to the leggings so it bags out but the length on the top is great to be worn un tucked. As for the black vinyl leggings? They are lined so there’ s hardly any struggle to getting these on. Stretchy and surprisingly comfy, I did squeak a little bit but who cares when you look so damn gorgeous in them. I do love the option of wearing a trouser rather than a skirt or dress. Especially in Winter when let’s be honest we all like to keep warm but not compromise on style. I can’t wait to style both pieces for less glam looks though. The leggings with a thick longline jumper and boots, The red top with a pair of dark blue denim and trainers. The options are endless. I can't wait to rock the red this christmas too back home in Wales. Sensational pants, you look great in them ;-). In addition to a heavy look, I would enter into a more delicate feminine stylizations with them, because you look simply amazing in them. What about it?